The second phase of shedkm’s refresh of the Tea Factory in Liverpool’s Rope Walks is now open. A vacant office unit has been transformed into vibrant independent coffee shop for Mother Espresso. The key strategic move was to open the space up to the Tea Factory atrium, bring life and activity to an impressively scaled – but previously unanimated – space. Now the smells, sounds and energy of the cafe are allowed to permeate the building. 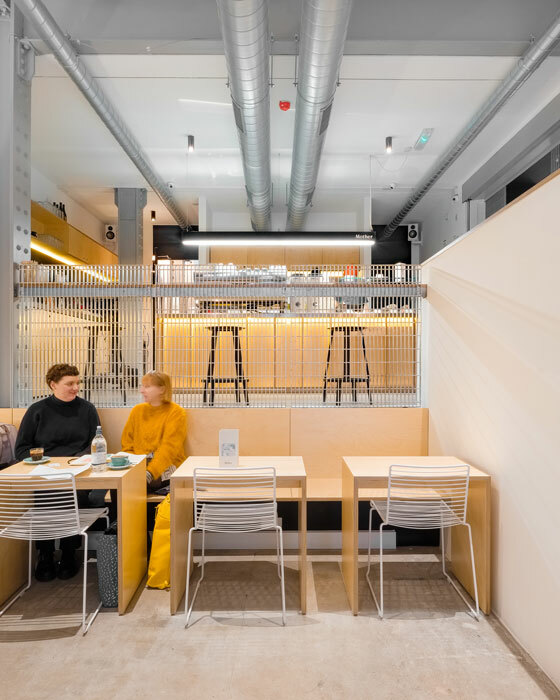 Within the cafe, the elevated and illuminated counter takes centre stage drawing people from Wood Street, through the space, to the source of great coffee! Check out more at shedkm.co.uk.